We have seen a number of car ads on Craigslist over the last couple of years, including what could only be described as the greatest car ad ever. 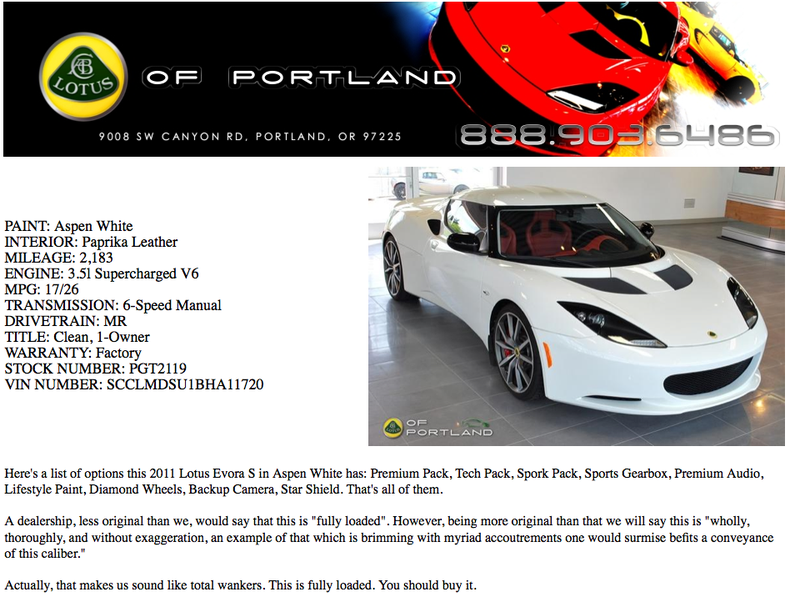 Now it looks like Lotus of Portland is getting in on the act with an ad for a 2011 Evora S they have in inventory. wholly, thoroughly, and without exaggeration, an example of that which is brimming with myriad accoutrements one would surmise befits a conveyance of this caliber. Kudos to them for getting creative, but has anyone ever actually bought a Lotus off Craigslist before? Give the ad a click to see just how awesome it is.